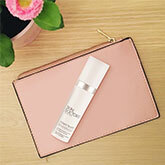 Effectively resurfaces skin that is prone to wrinkles, sun damage, & mild scarring! Worth £79.98 - Only £45! 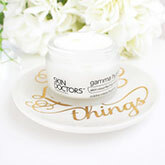 Skin Doctors Anti-Ageing range contains innovative products to minimise the appearance of ageing complexions. Products such as Relaxaderm Advance have been proven to reduce fine lines and expression lines by two thirds. Achieve incredible Professional Results at Home with Skin Doctors Body and Depilatory ranges. Instantly hold your skin taut without cosmetic surgery. Some say it’s a miracle in a bottle! Skin Doctors has a solution to your skincare issues….find your skin care solution here! Say goodbye to under eye-bags, dark circles and puffy eyes. 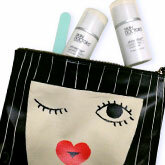 Discover the Skin Doctors Eye care range today. Skin Doctors Daily Essentials to help your skin achieve the best new complexion. The full Skin Doctors range in one place. 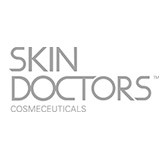 Skin Doctors are one of the leading cosmeceutical brand. They combine both cosmetics with leading research, to offer their customers a solution to their skincare problems. The Skin Doctors brand has grown considerably and had now expanded to be in over 50 countries globally. Skin Doctors believe that theirs, or any sort of beauty product should make a visible difference to either your skins appearance or wellbeing. This is why this brand have decided to go the extra mile and include a large amount of different ingredients within their products to give you visible results, rather than including enough for the label. Skin Doctors promise to only ever bring their customers products which have been proven to work under a strict scientific condition, or proven after years of use. In order to be honest with their customers Skin Doctors provide a great amount of product information to help you understand the science which is behind the product. Skin Doctors differ from other skin care brands as they are on their way to ‘bridging the gap’ between standard skin care and cosmetic surgery. They offer a wide range of products to treat more than just the standard skincare issues – providing treatments such as chemical peels and micro-dermabrasion. These treatments are safe, non-invasive and give amazing results in the comfort of your own home. Skin Doctors Ingrow Go – a skin treatment to get rid of those pesky ingrown hairs after shaving or waxing, by gently exfoliating the skin to smooth the skin and prevent ingrown appearing. Skin Doctors Instant Eyelift – a firming serum for the area around your eye, which is prone to wrinkles, bags, puffiness and redness. With a special blend of Wheat Protein, Hyaluronic acid, and Macrocystis Pyrifera this serum will tighten, brighten and plump the skin to give it a more youthful radiant glow.